In Germany they tend to prefer a quiet New Year’s, free of the revelry that’s so prominent a few months earlier during Oktoberfest. December 31st is a more low-key family-oriented affair, but one that does include the handling of an incredibly lethal material from the earth’s mantle, so swings and roundabouts. In classic Germanic style, Germans tend to tell fortunes with something a bit more hardy than tea leaves; namely a huge pot of molten lead. 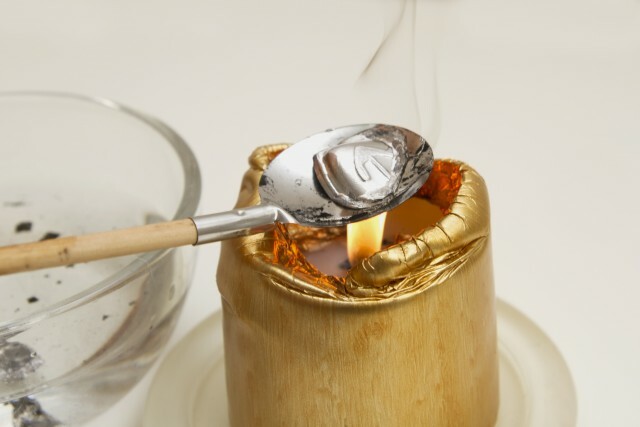 Bleigießen is the act of melting lead on a teaspoon and pouring the liquid into cold water where it takes the shape of an amorphous blob that the family attempts to interpret as prophetic. A bee foretells the prospect of marriage, a carp suggests an unexpected raise in salary and rather ominously, a dagger anticipates victory. You can visit the home of this proud tradition on one of our Bavaria holidays. In Oberammergau, locals as well as guests accompanied by carol singers and musicians, will walk through the town in a “grand star” procession. The star procession stops at such significant places as the Pilate’s House, the church and the house of the former Passion Play director, Georg Johann Lang. 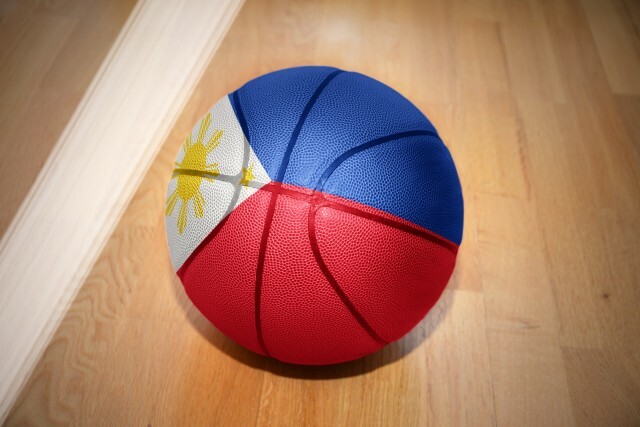 Filipinos have a famous love of basketball. Its status as a nationwide pastime is evident in the floods of children playing impromptu matches on the street. Come New Year’s Eve, it’s the spherical image of the basketball, along with everything else circular, that is said to have huge significance for the year ahead. Polka-dot dresses are worn and 12 round fruits are gathered for the day as their shapes are all akin to those of circular coins, meaning wealth in abundance for the year ahead. In fact, this is just one part of the Filipino New Year’s bag of wacky superstitions. Everything signifies something in this country. Sticky rice means good luck will ‘stick’ in the coming year, leaving the door open will make it easier for luck to enter, while stuffing your wallet and being frugal on New Year’s Day will mean money management won’t be a problem. Even kids jump as high as possible on the strike of midnight so they’ll grow as much as possible next year – no wonder they’re so good at basketball. How about welcoming in the New Year with a water fight with an elephant? If this is your idea of a celebration, head over to Thailand. 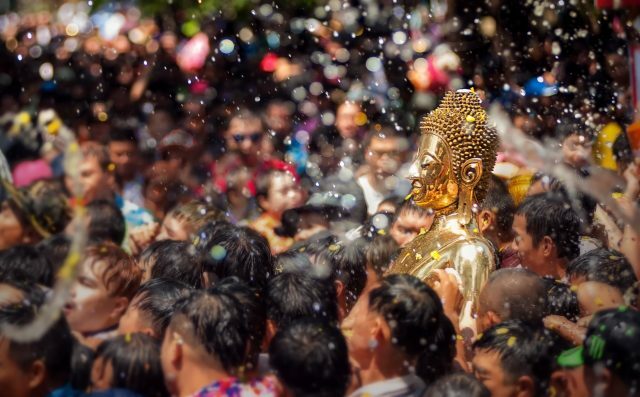 Here, the New Year starts on April 13th and indicates the beginning of the three-day water festival, Songkran, a carnival of all things moist where patrons are encouraged to chuck, splash or shoot as much water at everyone else as possible. The victims don’t have to be willing participants – as long as you’re in the area, you’re going to be welcoming in the New Year as a sodden mess. The water is often mixed with chalk and turmeric and is meant to wash away the sins of the past year. Different areas of Thailand celebrate with different levels of extravagance, with firecrackers and upward-aimed gunfire also thrown in to spice up the mix in the more party-hardy regions. The tradition has spread throughout a lot of South-East Asia and even into parts of Eastern Europe, meaning it’s on the cusp of entering Britain. Get your hoses ready, people. Driving through the rural streets of Panama on New Year’s Eve, you’d be forgiven for thinking they must have an endemic pest problem. 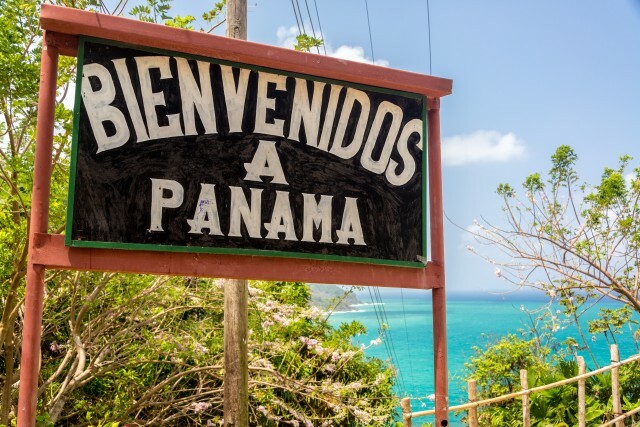 Lines of papier maché scarecrows stand in front of countless farmhouses in western Panama – crinkled statues that begin taking the form of unpopular celebrities and politicians in the run up to the New Year. This tradition, Muñeco, developed in the west of Panama but fell into decline a while ago. The government began running sponsored competitions to keep it alive and it is now going through a much-appreciated revival.